siblings...One for each person, add on as your family grows! 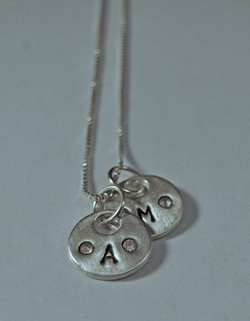 for each important person in your life! These are approximately the size of a US dime. enter Initial/Birthstone in format indicated.